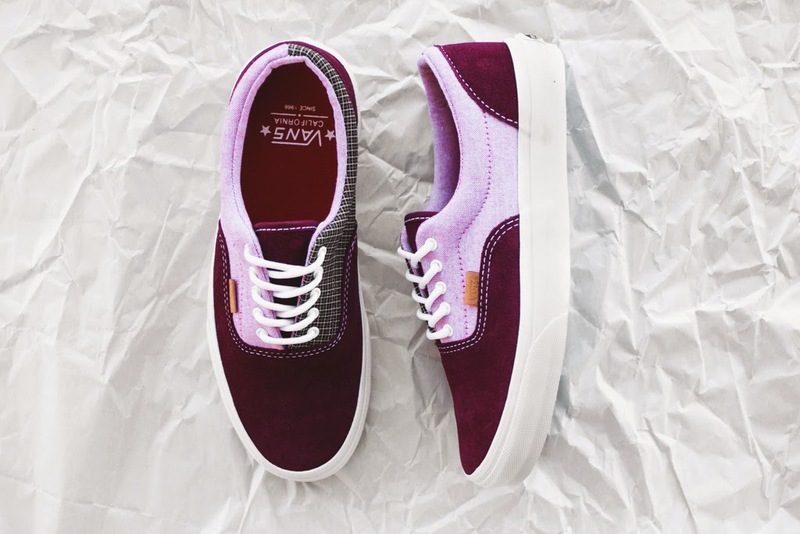 Arriving in timely fashion for warm weather, here Vans California presents a new take on its Era CA silhouette. Dubbed the “C&P,” this luxe rendition of the sneaker is executed with plush pink and burgundy suede around the toecap and outer side panels. These colors are sharply contrasted by grey Italian textile at the instep, adding a quirky, yet strong attitude to the otherwise elegant pair. Finished off with rounded white laces, look for these to release at Vans California retailers such as Feature LV in the coming days.